2:24 in a dull market, the Fractal Grid is the eMylar of choice. It says hang tight. 2:22 note where I am now-if stopped, I have .25 for the day. That's why taking 3.5 early was good. 1:41 the Fractal Grid is taught in the Chaos Trading Made Easy course. 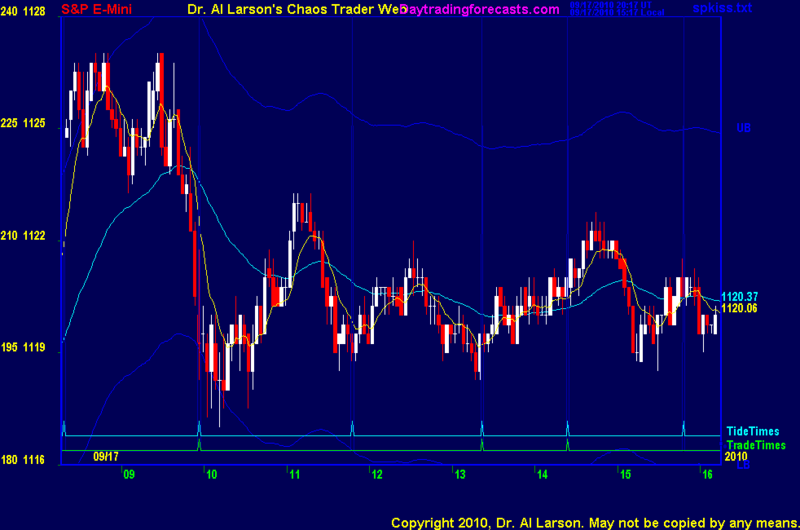 1:40 I have placed a Fractal Grid chart in the Certified Chaos Trader's room. This room is open to graduates of my four main trading courses. See http://moneytide.com->Courses for more. 9/17/2010 8:47:59 AM MT EOE:: Is there a FOP in play here from overnight high? 9/17/2010 8:20:08 AM MT MJ:: Dr. Larson, do you use hotkeys to enter/exit your trades?